Speyside Distillery is nestled in the Cairngorm’s National Park and is said to be ‘the prettiest distillery in the whole of Scotland’. 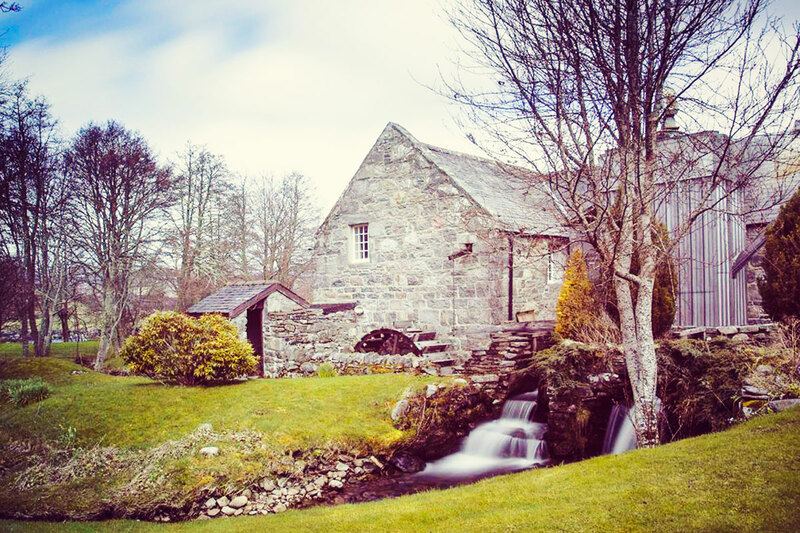 The distillery originally began life as a barley mill and croft dating back to the 1700s before it finally closed in 1965. The building was then carefully and lovingly converted into a single malt distillery, producing its first spirit on Christmas Day 1990. The distillery draws its water from a tributary of the Spey River. The remnants of the old mills lade, which once upon a time powered the waterwheel, is used to filter water into the distillery. With an established reputation for producing boutique whiskies, the distillery launched their range of Byron’s Gin expressions in 2018. Crafted to celebrate Lord Byron’s love of the Scottish Highlands, which inspired him to pen some of his most beautiful and memorable poetry, Byrons’ Gins are hand-crafted at Speyside Distillery. Created in collaboration with Andy Amphlett, the County Recorder for the Botanical Society of Britain and Ireland, Byron’s Gin Melancholy Thistle, a traditional juniper forward gin is blended with a variety of local botanicals carefully selected from around the distillery and immediate local area. Goes great with: A slice of grapefruit, tonic and ice. The second expression in the Byron’s Gin range, Byron’s Gin Bird Cherry features a refreshing, fruit flavour profile with notes of lemon accompanied by a lovely undertone of juniper. This gin is distilled using the vapour infusion botanical basket that’s filled with botanicals and hung inside the gin still. This method provides a chance for the oils and flavours to slowly be drawn out of the botanicals before cooling and condensing.